Do You Still Have an Undisclosed Foreign Account? December 21, 2016 By Asher Rubinstein, Esq. Option One: come forward now. The IRS Offshore Voluntary Disclosure Program (OVDP) still remains open. Criminal prosecution is usually avoided if you come forward before you are caught. In addition, the penalties are much higher outside the OVDP in the event you are caught by the IRS. You may be caught because of FATCA, an investigation, an audit, an information request to a foreign bank, a subpoena upon a foreign bank, or another person’s disclosure of account info. Thus, if you have not entered the Offshore Voluntary Disclosure Program, you may still come forward; you will pay penalties, but the penalties will still be significantly lower than if you don’t come forward and the IRS catches you. In that case, jail time for criminal tax fraud is also a frightening possibility. In some cases, depending on the background facts, the penalties for an undisclosed foreign account may be as little as 5 percent or even zero, provided that the IRS doesn’t already know about your offshore assets. Option Two: convert your account to a tax-compliant structure. We have long counseled the use of tax-compliant strategies to minimize U.S. taxation. We also advise clients on the legitimization of non-compliant offshore assets. We counsel clients regarding the proper steps to transform a non-compliant offshore account into one that complies with current U.S. laws. Although we cannot erase a non-compliant past, we can counsel on full compliance going forward. Such steps may significantly reduce the risk of detection and prosecution. Option Three: do nothing and hope that the IRS does not discover your foreign account. You would be relying on past promises of banking secrecy as a means of future protection. However, as the events of recent years have proven, foreign banking secrecy no longer exists. Moreover, FATCA is now in effect, whereby virtually all foreign banks report bank data to the IRS. In light of this new world order, sooner or later the IRS will likely find your foreign account and then it will be too late. Even if you somehow remain “under the radar”, any attempts to access the foreign funds could raise “red flags” and thus your foreign assets are essentially inaccessible. Clearly, we do not recommend this “ostrich” strategy. We do recognize that making a formal voluntary disclosure would include paying a penalty, and we recognize that this penalty, although much less than civil and criminal tax fraud penalties, may still be quite onerous. The question thus becomes: are alternatives available to come into IRS compliance, and, at the same time, to also avoid the OVDP penalty? We do not believe that everybody with foreign assets should automatically rush to enter the OVDP and pay the high penalties. The OVDP, with its “one size fits all” penalty, is not always the best, or only, course of action in all offshore cases. In addition, if your background facts meet certain requirements, the “Streamlined” voluntary disclosure procedures may be appropriate, and would offer significantly lower penalties. Every client has different facts. We must address the particular facts of the client’s foreign assets, the past non-compliance, the client’s reported income, the amount of unreported foreign income and the tax loss to the IRS. Not everyone with foreign assets should avoid the OVDP, but not everyone with foreign assets should enter the OVDP. We can examine the facts, assess the risks, and discuss alternative strategies that may reduce or even entirely eliminate IRS penalties. Contact us to discuss your options regarding foreign accounts. September 23, 2016 By Asher Rubinstein, Esq. On September 29, 2016, Asher Rubinstein will be the featured speaker in a live webinar, FBAR and U.S. Tax Reporting and Compliance Requirements for Foreign Assets. Identify what foreign assets must be reported to the IRS and what forms must be filed. If a client did not report foreign assets and income to the IRS. If a client just closes his or her foreign bank account. If the client innocently did not know about the foreign reporting requirements. Is the client inherited foreign assets from a relative who is not American. If the client lives and works in a foreign country. Explain how the IRS could learn about foreign assets if the client doesn’t report them. Describe whether a client who paid tax to a foreign government still has to report the assets to the IRS. Determine whether foreign real estate has to be reported to the IRS. Recognize how to respond when a client receives a letter from their foreign bank. Avoid penalties for not reporting offshore assets. For more information or to enroll, please see here. Foreign Accounts in Israel Heading Toward IRS Scrutiny: Are You Compliant? September 21, 2016 By Asher Rubinstein, Esq. We have previously written about Israel’s willingness to enforce the Foreign Accounts Tax Compliance Act (FATCA) on behalf of the IRS. See, for example, my article “Israel Is Becoming the IRS’s Strictest Enforcer of FATCA” (Tax Notes International, Volume 75, No. 6, August 11, 2014). Recent events in Israel further support that conclusion. The lesson is that if you have foreign financial accounts in Israel that are not in U.S. tax compliance, the window to come into compliance is closing rapidly. Earlier this month, the Israeli Supreme Court rejected a challenge to the implementation of FATCA in Israel. The plaintiffs in Israel argued that FATCA violated Israeli sovereignty and violated their individual privacy. The Israeli Supreme Court rejected these arguments and thereby cleared the way for banks in Israel to report account information to the Israeli Tax Authority, which will then transmit the information to the IRS. This most recent challenge to FATCA failed in Israel, following similar failed challenges in the Cayman Islands and Canada. September 30, 2016 is the FATCA implementation date in Israel. Any financial accounts in Israel belonging to a U.S. citizen or green card holder or with any connection at all to a U.S. person (including a U.S. telephone number or email address), will soon after be transmitted to the IRS. Note that taxpayers still have thirty days to object to the inclusion of their banking information in the transmission from Israel to the United States under FATCA. However, under U.S. law, such a challenge must be reported to the U.S. Attorney General. It is not too late to bring Israeli assets and Israeli income (whether bank interest, investment gains, rental income, business income, etc.) into U.S. tax compliance. However, every additional day of non-compliance only heightens the risk of discovery by the IRS because the transmission of information from Israel to the U.S. is imminent. As long as the IRS does not already know about the foreign assets and as long as the taxpayer is not already under IRS audit or investigation, a taxpayer can come forward voluntarily, declare the foreign assets and pay a much lower penalty than if the IRS discovers the foreign assets or learns about the Israeli assets from the FATCA transmission. Moreover, taxpayers whose non-compliance is deemed to “non-willful” (i.e., more benign, less “guilty” of intentionally hiding assets or income), the penalties are even lower (0% if the taxpayer resides abroad). Please contact us for a consultation regarding U.S. tax compliance for offshore assets, whether in Israel or elsewhere. FATCA has now been adopted by 113 foreign countries, all of which will report account information and income data to the IRS. August 4, 2016 By Asher Rubinstein, Esq. The “Panama Papers” purportedly show how one law firm in Panama City with branches from Switzerland to Hong Kong utilized offshore entities and bank accounts to hide money for a world-wide clientele of wealthy people, including political leaders in various governments. While foreign entities and bank accounts are legal, it is against the laws of many countries to hide income from taxation, to launder bribe money and other proceeds of corruption and criminal activities. If the reports are true, the Panamanian law firm of Mossack Fonseca participated in tax evasion and money laundering on a global scale. The “Panama Papers” raise issues, not for the first time, about foreign tax havens, banking secrecy and offshore asset protection. In 2012, I visited Panama and met with trustees, attorneys and bankers, all eager for business and client referrals. While I was witness to the explosion of Panama’s banking industry, and I knew that Panama banks were a gateway for doing business in Central and South America, I have not sent a single client to Panama nor recommended Panama as an asset protection jurisdiction. Years earlier, we had made the decision that we preferred other jurisdictions for asset protection, for reasons including: the strength of local laws, the degree of difficulty for outsiders to challenge those laws and asset protection structures, and our contacts and experience with other jurisdictions. One of the factors that we look for in an asset protection jurisdiction is the social, economic and political stability of that country. Panama was ruled by a military dictatorship from 1969 to 1989. In 1989, within recent memory, U.S. troops entered Panama to arrest its president, who was also a military general and drug dealer. While the Panamanian banking system developed since those years, and Panama City skyscrapers soared, the prior history made us hesitant. Other jurisdictions offered better laws, a better record of political stability, and lawyers, trustees and bankers who we already knew to be professional and honest. The “Panama Papers” is apparently the second time that a whistleblower has offered Mossack Fonseca documents to tax authorities. The first instance resulted in raids and tax fraud prosecutions in Germany, and the information was then shared with the UK and U.S. governments. The current situation arose as a result of a hacker penetrating Mossack Fonseca’s computer system and transferring millions of documents to the International Consortium of Investigative Journalists (ICIJ), which released the documents earlier this year. In the “computer age”, nothing is immune from hacking and therefore there is no real secrecy. Four days before the Panama Papers were made public, the Wall Street Journal reported that elite New York law firms Cravath, Swaine & Moore and Weil, Gothal & Manges were hacked. J.P. Morgan Chase, the biggest bank in the U.S., was hacked in 2014. Hacking, leaks and whistleblowers can happen anywhere, not only in Panama. In 2013, ICIJ, the same group that released the Panama Papers, released a trove of offshore account details based on confidential documents obtained from the British Virgin Islands and Singapore. In 2008, an HSBC tech employee in France stole banking records and handed them over to the French government, which then shared the information with other governments, leading to investigations and prosecutions of many Europeans for tax fraud. In 2006, an employee at LGT Bank in Liechtenstein (once the most secret of tax havens) sold confidential banking records to the German government for millions of Euros. The German government shared that data with other governments, including the U.S. When foreign governments pay millions for stolen banking data (which they have done again and again), it creates an incentive for theft. It may be said that the entire unraveling of Swiss banking secrecy can be attributed to a single causative event: UBS employee Bradley Birkenfeld revealing to the U.S. Government how UBS lured wealthy Americans to open accounts in Switzerland, how UBS advised on keeping the accounts secret from the IRS, and how the bank earned high fees for managing the accounts. So began DOJ’s civil and criminal cases against UBS, UBS paying $780 million in penalties, revealing the names of some 5,000 Americans with non-compliant accounts, and the end of Swiss banking secrecy. While hacking, theft by bank employees and whistleblowers are universal, Panama is being singled out today due to the size of this latest leak of data, the historical scope (thirty to forty years) as well as the details of illegality. What makes the “Panama Papers” leak different are the revelations of illegality: banks apparently willing to open accounts for entities without knowing the true beneficial owner of the corporation or trust, or knowing the beneficial owner to be connected to a rogue government but looking the other way; attorneys offering bearer share corporations (which most of the rest of the world no longer does and is illegal in all fifty U.S. states), and attorneys willing to backdate documents. In better jurisdictions, these practices should not exist. I personally have not seen a bearer share corporation in about a decade and a half. Lawyers, banks and trust companies with whom we work around the world have strict “know your client” and due diligence requirements to vet and protect against money laundering and other illegal activities. We disclose the beneficial owners of foreign accounts, because legitimate banks and U.S. laws require this. Our asset protection clients are not looking to hide behind sham entities, and our clients do not rely on banking secrecy, because our clients understand that sham entities are ineffective and, where disclosure to tax authorities is involved, bank secrecy has been proven to be extinct. Of course, another crucial difference is that despots, criminals and tax evaders need a jurisdiction like Panama, where attorneys and bankers look the other way. Simply put, money laundering and tax evasion requires banking secrecy and the cooperation, or at least the “willful blindness”, of attorneys at Mossack Fonseca. Asset protection of legitimately earned and tax compliant money does not require banking secrecy. In that light, Panama is simply offering the very same services that got Switzerland in trouble. The UBS, HSBC, LGT, Mossack Fonseca and other leaks clearly demonstrate that banking secrecy can be compromised by hackers and renegade bank employees. Further, the success of the U.S. Department of Justice in penetrating Swiss banks and obliterating Swiss banking secrecy, the adoption of the Foreign Account Tax Compliance Act (FACTA) by banks and governments around the globe, and a host of Mutual Legal Assistance Treaties and Tax Information Exchange Agreements signed between governments, all point toward the conclusion that banking secrecy, at least as it relates to government mandated disclosure, has been effectively destroyed. Good asset protection does not rely upon banking secrecy. Foreign banking secrecy has been compromised by hackers, whistleblower employees, investigations and prosecutions of foreign banks and bankers, treaties and governments cooperating with each other and sharing banking information. In addition, foreign accounts, and foreign trusts and corporations which own foreign accounts, must be disclosed to the IRS. Even in civil litigation, tax returns are often discoverable by one’s adversaries. Again, reliance on secrecy to protect offshore assets is no longer a viable strategy in today’s world. Instead, our clients rely on full compliance with tax and disclosure laws, but they achieve effective asset protection from civil creditors through the use of time-tested asset protection laws in safe and stable jurisdictions. As we have long-counseled, any of the threats to banking secrecy, whether by governmental agreements, weakened bank secrecy laws, hackers or renegade bank employees, is not material if the funds are legitimately earned and the foreign account is tax-compliant. It is completely legal to have funds offshore, for many reasons (e.g., international business transactions, global investment and diversification, asset protection), as long as the foreign accounts are part of a tax compliant strategy. If the offshore accounts are tax-compliant, then the threat of information sharing – – from whatever source, governmental or individual – – is eliminated. As the window of banking secrecy closes further, those people whose foreign assets do not rely on secrecy and are tax-compliant need not worry. Will Bank Hapoalim Be the Next Foreign Bank to Fall to DOJ/IRS? February 3, 2016 By Asher Rubinstein, Esq. We are seeing signs that the US Department of Justice and the IRS are gearing up their investigation and possible prosecution of Israeli bank HaHapoalim for tax fraud. The basis of such a tax fraud charge is that Hapoalim offered banking services to US taxpayers designed to hide accounts and income from the IRS. In December 2014, another Israeli bank, Leumi, paid a fine of $400 million to DOJ and New York State to avoid criminal charges based on the very same conduct. As part of this settlement, Leumi also gave the names of 1,500 account owners to the US government. We’ve known for years that Israeli banks such as Hapoalim, Leumi and Mizrachi Tefahot were under examination by US authorities, much the same as Swiss banks, for offering “secret” banking services. Now it appears that the US government investigation of Hapoalim is entering a more critical phase. In recent weeks, we have seen the IRS investigators from the Criminal Investigations (CI) Division of the IRS request interviews of clients who had accounts at Hapoalim. Such interviews are usually used to build a case against a foreign bank. At the same time, Hapoalim is freezing accounts owned by American clients and is requesting clients sign and return IRS Forms W-9 and waivers of banking secrecy. When banks do this, they usually do so before handing over files, documents and information about their clients to DOJ and IRS. If the clients do not comply, their funds are frozen. US taxpayers with accounts at Hapoalim must take action on two levels. First, they must address whether their Hapoalim accounts are US-tax compliant. If not, for instance, if the accounts were not disclosed on the FBAR form and/or IRS Form 8938, and/or if income (interest, dividends, capital gains, etc.) was not properly reported to the IRS, the clients should seek advice from US tax counsel on the various options to come into US tax compliance. Second, the clients have to deal with the foreign bank and navigate through the forms requested, taking careful note of the risks and liabilities of the bank reporting the accounts and account owners to DOJ and the IRS. Of course, un-freezing the funds at the bank is a crucial concern as well, but this goal must be addressed in tandem with the bank’s request for signed documents and waivers and the risk of the bank reporting the client to the US government. We have experience in representing clients with accounts at Hapoalim, other Israeli banks, and banks around the world. We have been successful in advocating on behalf of these clients, to rectify account freezes, obtain documents and information from banks, and advise clients on their options to come into US tax compliance. If you have an account at Hapoalim or anywhere else in the world, contact us for a confidential discussion. December 23, 2015 By Asher Rubinstein, Esq. During 2015, the IRS and U.S. Department of Justice (DOJ) continued to successfully attack offshore banking “secrecy”. The IRS’ success against UBS and other banks eroded Swiss banking secrecy, effectively ending “going offshore” to hide money from the IRS. Going offshore for asset protection from civil creditors and for tax minimization is still viable and effective, but must be tax-compliant. • During 2015, the IRS and DOJ continued to investigate and prosecute U.S. taxpayers with undeclared offshore assets. • Switzerland agreed to a settlement with DOJ whereby Swiss banks began to report bank account data to the U.S. without a need for court orders or government-to-government treaty requests. In 2015, dozens of Swiss banks settled with DOJ and reported accounts with a U.S. nexus. In return for deferred prosecution, these Swiss banks are paying fines to the U.S. and revealing the identities of their American account owners. Clients of these banks who have not already come into IRS compliance can make a voluntary disclosure of these accounts, but will pay increased penalties in return for no criminal exposure (but not if the IRS already has their names!). Swiss banking secrecy, seriously weakened since DOJ forced UBS to disclose its U.S. clients in 2009, is now over. Moreover, now the Swiss banks report to the U.S. without advance warning to their U.S. clients. New legislation in Switzerland imposes penalties on a Swiss bank or bank employee that is aware of a U.S. request for information and then notifies the U.S. account owner prior to transfer of the requested information. • All reputable countries are agreeing to the exchange of tax information and banking transparency. In 2015, Luxembourg began exchange of bank depositor information. Likewise, Austria, the last remaining EU member holdout, agreed to share banking data. During 2015, over 100 countries, and over 170,000 foreign banks and other financial institutions have agreed to sign on to Foreign Account Tax Compliance Act (FATCA) and automatically report foreign account and income data to the IRS. Most recently, India and Cyprus agreed to implement FATCA, joining Singapore, Liechtenstein, Switzerland, Barbados, Bahamas, Hong Kong, Brazil, Jersey, Guernsey, Cayman, etc. If you have financial ties to foreign countries, you must address IRS compliance for foreign accounts and assets. The fact that a foreign bank has no branches in the U.S. is now irrelevant. • The reach of the U.S. Government to foreign banks is undeniable. The IRS is investigating HSBC, Bank Julius Baer, the Swiss Kantonal banks, Pictet, Bank HaPoalim, Mizrahi Tefahot and banks in the Carribean. DOJ also issued summonses to U.S. banks such as Bank of America, Citibank and Bank of New York Mellon for information on U.S. correspondent accounts used by owners of foreign accounts to access funds. Banks in Switzerland, Liechtenstein, Israel, India and the Caribbean are now under investigation. We expect more banks, in other countries, to be targeted in 2016. The fact that a foreign bank has no branches in the U.S. is now irrelevant. • In 2015, Israeli banks froze many accounts of U.S. persons, until the account owners signed IRS Forms W-9 disclosing their social security numbers or provided evidence of U.S. tax compliance. U.S. persons with Israeli accounts now face two challenges: access to their money, and IRS compliance. Many are now entering the Offshore Voluntary Disclosure Program. Israel has become the most vigilant of foreign countries in enforcing FATCA, to the extent that an Israeli banker may face criminal liability under Israeli domestic criminal law, for failing to abide by FATCA, a U.S. law. • In positive news, in 2015, the IRS issued guidance on FBAR penalties that seems to indicate a trend toward lower penalties for both willful and non-willful failure to file the FBAR. The new penalty structure allows for a single penalty, rather than multi-year penalties. In addition, the penalties should not exceed the value of the foreign account. The new guidance is applicable to cases currently in audit. • Recent appellate court cases all uniformly have held that foreign bank statements must be handed over to the IRS regardless of any Fifth Amendment claim against self-incrimination. This means that the IRS can compel, via Information Document Request (IDR) or subpoena, a taxpayer to provide his or her offshore account records even if those records are self-incriminating. Prosecutors may then use those records to prove commission of tax crimes, including failure to file bank disclosures, filing false tax returns, tax evasion and tax fraud. • In light of the above events, many clients have retained us to make their foreign accounts and other assets tax-compliant. We have represented many clients in Offshore Voluntary Disclosure Programs (OVDP) introduced by the IRS in 2009, 2011, 2012 and 2014. We have represented clients with accounts and assets on every continent (except Antarctica), brought them into IRS compliance and avoided prosecution. In 2014, the IRS changed the terms of its OVDP, and also began new “Streamlined” voluntary disclosure procedures for less egregious conduct. The Streamlined procedures have greatly reduced penalties (5% for U.S. residents; 0% for non-residents). We can advise you on which program is best for you. The penalties within the OVDP are usually less than if the IRS discovers the foreign account via audit, investigation or information the IRS receives from a bank or foreign government. • If you participated in one of the OVDP/OVDI programs and paid a penalty (20-50%), you should consider whether your conduct was “non-willful” so that you might qualify for a lower 5% penalty. If so, you may be entitled to a refund of the higher penalty. Contact us to explore this option. • Taxpayers should bring their accounts into tax compliance on the state level as well. 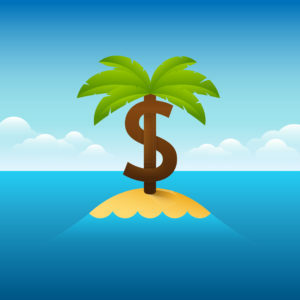 Some states, such as New York, Connecticut, New Jersey and California, have formal programs for offshore accounts. The IRS shares information with state governments, including that a federal tax return was amended to report foreign income. Please contact us regarding tax compliance on the state and federal levels. • Against the background of the U.S. offensive against non-disclosed offshore accounts, FATCA and new compliance burdens, many foreign banks have “fired” their U.S. clients and closed even compliant accounts. In 2015, we assisted clients in keeping open their compliant foreign accounts, or locating new foreign banks to take their business. While many foreign banks no longer want U.S. account holders, we have relationships with foreign banks which still service tax-compliant American clients. Following its success against foreign banks and foreign banking secrecy, we expect the IRS in 2016 to continue to pursue offshore tax fraud investigations of many foreign banks in many foreign countries. We also expect DOJ to continue its prosecution of U.S. taxpayers with non-compliant foreign assets. If you have a non-compliant or undeclared foreign asset, we can help you bring it into IRS compliance. If you are being investigated by the IRS, we can represent you, defend you and negotiate for lower fines and penalties and for civil, rather than criminal, prosecution. Contact us for a confidential consultation regarding your offshore assets and tax compliance. November 13, 2015 By Asher Rubinstein, Esq. You have foreign assets that are not in IRS compliance because you did not report them properly to the IRS and/or you failed to pay tax on foreign income. You are investigating how to come into compliance before the IRS learns about these assets, audits you and imposes severe penalties (or even worse, prosecutes you criminally). Perhaps you have received a letter from your foreign bank stating that it intends to disclose your account to the IRS. You know that you must voluntarily disclose your foreign assets to the IRS before it obtains that information from your bank or other sources. You have learned that there is an IRS Offshore Voluntary Disclosure Program (OVDP), which has an eight-year tax look back period and a 27.5% or 50% penalty (depending on which bank you used). You’ve also learned that there is a Streamlined voluntary disclosure procedure which has a three-year tax look back period and a penalty of 5% (0% for US taxpayers who live abroad). Which route do you chose to make your foreign assets tax compliant? On the other hand, the IRS defines non-willful conduct as: “conduct that is due to negligence, inadvertence, or mistake or conduct that is the result of a good faith misunderstanding of the requirements of the law.” Apart from providing these definitions, which are rather amorphous, the IRS has provided little published guidance on what constitutes willfulness. In determining willfulness or non-willfulness, the IRS will look at the taxpayer’s actions. As part of the taxpayer’s application for the Streamlined program, the taxpayer must submit a sworn self-certification detailing the facts supporting his or her non-willfulness. If the IRS concludes that the statement is false, the taxpayer could be subject to prosecution for filing a false statement or perjury. The taxpayer’s statement of non-willfulness is thus a critical document and will be the basis of the IRS agreeing or disagreeing that the taxpayer’s failure to disclose is non-willful. If the IRS rejects the non-willful certification, the taxpayer’s statements could form the basis of an IRS audit with potentially severe consequences including large penalties. If the application to the Streamlined program is rejected, it is too late to apply to the OVDP. Based on our representation of hundreds of US taxpayers with foreign assets, below we analyze various factual situations that often arise in offshore cases, in order to determine how the IRS might determine willfulness or non-willfulness. It should be noted that client fact patterns are all different, and usually contain both “good facts” and “bad facts”. It is the responsibility of a good tax attorney to evaluate all facts and guide the client to a conclusion. The factual examples set forth below may appear to be very “willful”, in order to illustrate a point. Your own facts could be much more benign. In addition, while many of the examples below that showcase willfulness would point towards a conclusion that the Streamlined procedures are not appropriate, the OVDP would still be available in order to come into IRS compliance, put a cap on penalties and avoid criminal prosecution. In order to assess willfulness, we begin with the reasons for opening a foreign account, the taxpayer’s background, and the source of the foreign funds. What was the reason for opening the foreign account? There are perfectly valid and legal reasons to open and maintain a foreign bank account. Perhaps you support family abroad via such an account. You may own foreign real estate and need an account to pay the mortgage, pay utility bills and other expenses associated with your foreign property. Perhaps you visit a foreign country often and require access to banking services when you visit. If you lived and worked abroad, you would certainly need an account for banking purposes, as well as to deposit salary, pay bills, etc. Perhaps your child is spending a semester studying abroad and you deposit funds into a local account. We’ve had clients who opened foreign accounts in order to receive Holocaust reparation payments. We’ve had clients who inherited money from foreign relatives and simply kept the funds overseas; or who inherited real property overseas and needed to open a foreign account to receive the proceeds from the sale of the inherited property. These are all valid reasons for having a foreign account. If you were truly not aware that these accounts are reportable to the US government, you may likely have a basis for claiming non-willful conduct. On the other hand, if your foreign real estate was rental producing, you had a net profit from the rental income, and you did not declare that net profit to the IRS, you would be closer to the “willful” side of the spectrum. What is the taxpayer’s background? Growing up in the foreign jurisdiction where the account is located, having family ties to the country, or business ties, would be relevant in making a case for non-willfulness. Often, a US taxpayer created the account while living in the foreign country, then later moved to the US, but did not know the account was then reportable to the IRS and did not access the account after moving to the US. Such facts would be relevant to non-willfulness. More broadly, the level of the taxpayer’s education, business acumen and financial sophistication are also relevant to the issue of willfulness. We’ve had hedge fund managers and other financial professionals suggest to us that they are non-willful, and yet they have MBAs, manage millions of dollars and invest internationally. The IRS will likely call into question this disparity and reject a claim of non-willfulness. We’ve had a client who was a foreign attorney, with an account in her country of origin, who argued her non-willfulness, yet she took no steps to learn about her IRS reporting requirements while living in the US for decades. We’ve also seen family histories that included forced exile, religious or ethnic persecution, and a resulting desire to safeguard funds in a jurisdiction that offered safety and stability. Thus, the rationale for the opening of the foreign account was not US tax avoidance. In many cases, the accounts were created in a foreign country long before the taxpayers even had any tax nexus to the United States. Such facts all support non-willfulness. However, the taxpayer better be prepared for the IRS to question why the account remained non-compliant after the taxpayer established a US nexus. What is the source of funds in the foreign account? Funds that were inherited or gifted from a foreign relative, or salary accumulated in a foreign account while the taxpayer lived and worked abroad and needed a local account for banking, bill paying, etc., suggest that the foreign account was not set up to willfully avoid US taxation. On the other hand, if the offshore funds are earned income or investment profits that were diverted into a foreign account in order to avoid US taxation, rather than declared, after-tax proceeds, the IRS will find willfulness. The OVDP is the correct course of action for willful non-compliance. If the funds were deposited in the foreign account in order to hide assets from creditors, or from a spouse, then it will be very difficult to argue in favor of non-willfulness. The difficulty in such a case is that hiding assets from a spouse, or attempting to avoid attachment by creditors, is not the same as willfully avoiding US taxation, but the IRS will impute willfulness toward the IRS from conduct towards creditors or potential creditors. “Hiding” an account is a willful action, no matter from whom you are hiding. Finally, if the offshore funds are criminally derived, the IRS will not accept a voluntary disclosure, neither Streamlined nor OVDP. Does the taxpayer have ties to the country where the account was/is located? We have represented many US taxpayers who immigrated from foreign countries where they had local accounts for many years, in some cases since childhood. They may have even been subject to local tax withholding in such accounts. If such a client is truly unaware that after immigrating to the US, the account “back in the old country” becomes reportable to the US government, then a case for non-willfulness may be made. If a US taxpayer did business in a foreign country and needed a local account to transact the business, or owned property in that country and needed a local account to pay the mortgage and other expenses, again, such facts suggest non-willfulness. Paying taxes to the foreign government would also support a claim of non-willfulness (and may also give rise to a Foreign Tax Credit on the US tax return). Did the taxpayer pay foreign taxes on the foreign assets? In many cases, people have the mistaken understanding that because the foreign funds were taxed abroad (e.g., the foreign bank took withholding or the taxpayer filed foreign tax returns and paid foreign taxes), the taxpayer need not declare the same assets and pay tax again to the IRS. This is a mistake because the US Internal Revenue Code taxes world-wide income, even if already declared and taxed abroad. In many cases, a tax treaty between the US and the other country will allow for a foreign tax credit on a US income tax return, so that the same funds are not taxed twice. But the US taxpayer must still declare the foreign assets to the IRS, even if taxed abroad. A good faith misunderstanding of this requirement could form the basis of a non-willful certification. If the US tax loss was minimal because of a credit for foreign taxes paid, the case for non-willfulness is even stronger. However, if the US taxpayer failed to declare and pay tax to the foreign government as well as to the IRS, then the IRS will likely deem that to be willful tax avoidance in two countries. The same conclusion would pertain not only to income in a financial account, but to all forms of income, such as salary, commission, real estate rental income, etc. In other words, willfulness towards one’s foreign tax obligations would be imputed as willfulness toward the IRS as well. How was the account opened? Was the account opened by a relative and the US taxpayer is on the account “for convenience” or inheritance purposes? Was the account opened in order to receive a foreign inheritance? These facts would go toward non-willfulness. Moreover, if there is no tax loss to the IRS because, really, this was someone else’s money and you were on the account under a power of attorney, that is further support for non-willfulness. In contrast, did the taxpayer travel to a jurisdiction where he had no ties, in order to open the account? Did the taxpayer utilize a service provider (banker, attorney, trust company, etc.) that promised banking secrecy, tax secrecy or the like? The IRS scans the Internet and makes note of such service providers that offer banking “confidentiality” or tax “secrecy”. If the taxpayer utilized the services of such a provider, the IRS will likely reject a claim of non-willfulness. Such facts would suggest that the taxpayer consider the OVDP rather than the Streamlined program. Did the taxpayer utilize a foreign passport when opening the account? Did the taxpayer provide a foreign address? These are all “bad” facts that would suggest willfulness (unless, of course, you were living in that country when you opened the account), because they suggest efforts to conceal one’s US tax status to the bank and an affirmative attempt to posture the account as non-US related. On the other hand, a taxpayer who candidly advised the bank that he was a US person, would have a better chance of arguing for non-willfulness. What were the taxpayer’s instructions to the bank? Did the US taxpayer instruct the bank to open a numbered account? A “bad” fact that points to willfulness. Did the taxpayer instruct the bank to “hold mail”? Another “bad” fact that points to willfulness. Did the taxpayer utilize a “code name” or “code word” in communicating with the bank? Almost definitely, willfulness. Did the taxpayer direct investments, order trades, etc.? Another “bad” fact. It is difficult to plead ignorance of reporting requirements while having the financial sophistication to open a foreign bank account and make foreign investments. Did the taxpayer access the accounts? If the account was passive, and the US taxpayer had little or no involvement in the account (did not manage investments, make deposits, took few or small withdrawals), the taxpayer would have a good case for non-willfulness. On the other hand, the use of a debit card to access foreign funds is a “bad” fact that would likely suggest willfulness. Withdrawal of cash and then repeatedly bringing just under $10,000 in cash on one’s person when returning to the United States would likely suggest willfulness, in addition to triggering violations of Customs laws. Asking a foreign banker to deliver cash or, even worse, items like diamonds, would almost certainly constitute willfulness. There is case law that “checking the box” on IRS Form 1040 Schedule B that one does not have a foreign account, coupled with the use of the account, such as by making withdrawals, could indicate willfulness. Suppose a taxpayer closed his Swiss account and transferred the funds to a different bank. The timing is important. If the taxpayer closed the account between 2008 and 2015 and moved the funds to a different offshore bank, the IRS could argue that the taxpayer was a “leaver”, i.e., the taxpayer left his/her bank because the IRS was cracking down on UBS, Wegelin, Credit Suisse, Julius Baer, etc. and the taxpayer transferred the funds to another foreign account in order to keep one step ahead of the IRS. Moreover, because the IRS Offshore Voluntary Disclosure Programs (OVDP or OVDI) have been in effect since 2009, the taxpayer had years of opportunity to come forward to the IRS, but instead of coming into compliance, the taxpayer chose a different bank to continue to hide the funds from the IRS. In such a circumstance, the Streamlined program will not work and the OVDP is a better option. Was the account titled in the name of an entity like a trust, corporation or foundation? The IRS considers the overlay of a foreign entity as owner of the funds to be an additional affirmative step of obfuscation of the true ownership of the funds. In fact, Department of Justice tax prosecutors are particularly keen on prosecuting US taxpayers who utilized foreign trusts, or Panama corporations, or Liechtenstein foundations to own their non-compliant foreign assets. In a similar vein, transferring assets to the name of a nominee, or foreign friend or relative, is likewise viewed as a negative, willful act. What was the taxpayer’s conduct vis-a-vis the foreign assets and preparing his annual income tax return? We’ve had clients with CPAs who were simply in the dark regarding how to treat foreign assets for US tax purposes. One CPA knew that his client owned a foreign annuity policy, yet the CPA utterly failed to declare it on multiple year FBARs (FinCEN Form 114, which is an annual report to the Treasury Department about foreign accounts). Many CPAs know that their clients are originally from foreign countries and visit those countries often and even own homes back in those countries, and yet the CPAs never ask whether the clients have foreign financial accounts. Such facts may support the client’s case for non-willfulness (although the focus would then shift to include the client’s own knowledge of IRS reporting obligations). We’ve also had clients insist that they are non-willful, but when we explore whether their CPA asked if they had foreign accounts, the clients tell us that they answered “no” to their CPAs. Denying that one has a foreign account when one’s CPA affirmatively asks, is definitely willful. In addition, the IRS places emphasis on “tax organizers”, which are questionnaires that CPAs send to their clients to get the clients to focus on tax issues such as income, deductions, exemptions, charitable contributions, etc. If the taxpayer received a tax organizer that asked about foreign assets, and either ignored the question or answered inaccurately, the IRS will likely impute willfulness. In some cases, taxpayers prepare their own tax returns without utilizing a CPA. The taxpayer will have to address his conduct in answering the question about foreign accounts on IRS Form 1040 Schedule B, line 7. Did the taxpayer read the question and answer that he did not have a foreign account? Did the taxpayer ignore the question? The answers are all relevant to the issue of willfulness. The IRS takes the position that a taxpayer who signs a tax return is presumed to have read the tax return he is signing, including the question on Schedule B about foreign accounts. Further, that question specifically directs the taxpayer to the FBAR form. The IRS has taken the position that, having read this question and the direct FBAR language, the failure to take the next step and inquire about the FBAR constitutes “willful blindness”. Under the concept of “willful blindness”, willfulness may be attributed to a person who has made a conscious effort to avoid learning about the FBAR reporting and recordkeeping requirements. An example that might involve willful blindness would be a person who admits knowledge of and fails to answer a question concerning signature authority at foreign banks on Schedule B of his income tax return. This section of the return refers taxpayers to the instructions for Schedule B that provide further guidance on their responsibilities for reporting foreign bank accounts and discusses the duty to file Form 90-22.1 [the prior FBAR form, the predecessor to FinCEN 114]. These resources indicate that the person could have learned of the filing and recordkeeping requirements quite easily. It is reasonable to assume that a person who has foreign bank accounts should read the information specified by the government in tax forms. The failure to follow-up on this knowledge and learn of the further reporting requirement as suggested on Schedule B may provide some evidence of willful blindness on the part of the person. IRM, 4.26.16.4.5.3 (07-01-2008). Similar questions arise if the taxpayer utilized software (such as TurboTax), and such software directed the taxpayer to the FBAR form. Did the taxpayer attempt to learn about the FBAR form, or did he ignore the software’s prompts and thus was willfully blind? On the other hand, the Internal Revenue Manual states that “[t]he mere fact that a person checked the wrong box, or no box, on a Schedule B is not sufficient, by itself, to establish that the FBAR violation was attributable to willful blindness.” Id. Moreover, as one court has stated, “[w]illfulness has been found where ‘the facts and circumstances of a particular case, taken as a whole, demonstrate that the taxpayer knew or should have known that there was a risk and failed to take corrective action, with the result being the violation of the law”, McBride, 908 F.Supp.2d 1186, 1209 (D. Utah 2012), citing Jenkins (internal quotations omitted) (emphasis added). In other words, the taxpayer’s response to the Schedule B question (or a software question) is relevant, but not exclusively determinative. The totality of the taxpayer’s facts and circumstances are considered, including the other factors discussed herein. It is apparent that one’s background facts and actions with regard to the foreign assets are crucial in a determination of willfulness or non-willfulness. It is important that a qualified attorney well versed in foreign assets and US tax compliance examine the totality of a client’s facts and help the client assess willfulness. As noted, apart from some vague definitions of “willfulness” and “non-willfulness”, there is little published IRS guidance. Taxpayers must also understand that if the IRS rejects a certification of non-willfulness in an application for the Streamlined disclosure procedures, it will be too late for the taxpayer to then apply for the OVDP. The Streamlined procedure is therefore an all-or-nothing avenue. In this context, there are no degrees of willfulness. If the conclusion points towards non-willfulness more than willfulness, the client should give serious consideration to the Streamlined program and its significantly reduced (5%) penalty. On the other hand, if the client does not want to bear the risk of the IRS rejecting a claim of non-willfulness, the OVDP becomes the better alternative.